Shakira and Her Son Milan Cheer Dad Gerard On in Spain! 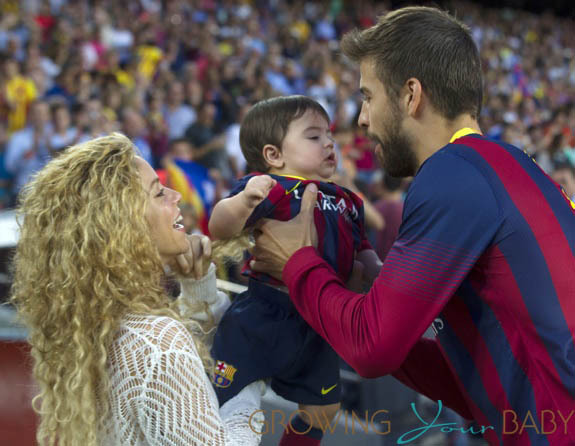 Home » Shakira and Her Son Milan Cheer Dad Gerard On in Spain! 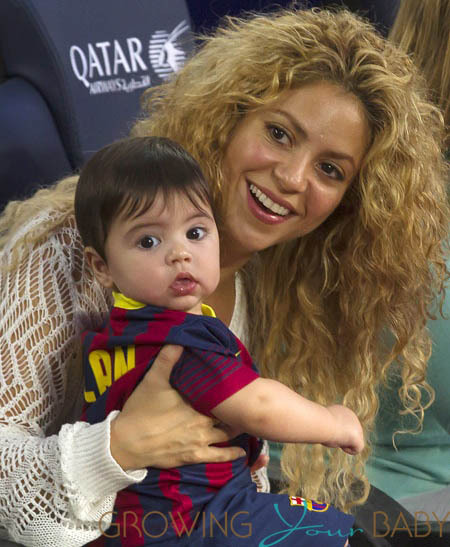 Shakira and her son Milan were spotted in the stands watching her partner Gerard Pique play during the FC Barcelona football match against Sevilla FC. Milan showed his support for his dad’s team by wearing a striped jersey and matching shorts. The ensemble was finished off with a pair of coordinating burgundy Nike socks. The duo were joined by Gerard’s mom, who held a soccer ball for her grandson to play with. A junior footballer in the making for sure! The visit turned out to be a lucky one! Gerard’s team won 3-2 over Sevilla. After the game the family was re-united for some congratulatory kisses. So sweet.